An edited version of this story originally appeared in the Summer 2010 Edition of Mia Magazine. Two of my favorite things in life are food and making things. I love to talk, read, learn about food, and talk read and learn about any sort of craft or handiwork. Growing up in McAlester, Oklahoma, I was always fidgeting with my hands, making dolls, playhouses, and taking classes in painting, sewing and embroidery. I’ve made a career out of making things. It was because of these two interests that I found myself recently writing a book about sewing, and coincidentally reading the book Gluten-Free Girl by Shauna James Ahern, which is all about how she discovered a whole new way of eating and a bounty of incredible food when she was diagnosed with celiac disease. In Gluten Free Girl, Ahern discovers that by needing to learn new ways to prepare food for herself, it opened her up to a foodie paradise that was all around her, all she had to do was look for it. 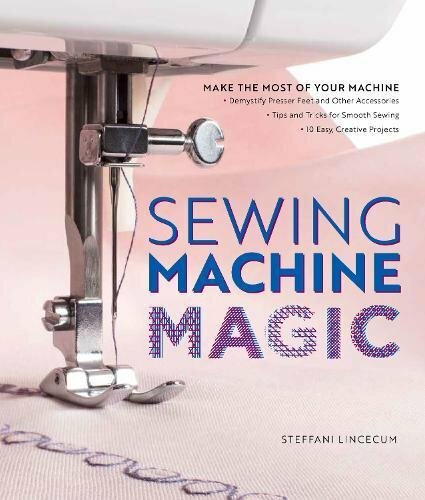 Reading this book while I was writing about sewing was a revelation to me. I’ve read books and articles for years on slow food, slowing down, simplifying your life, etc. but when it came to sewing and teaching sewing it seemed like the world was too busy to bother. 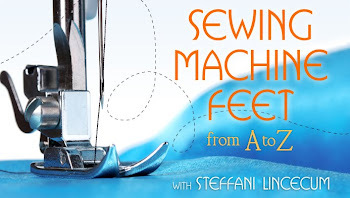 There are tons of books about how to sew faster (or better yet no sewing at all). Sewing? Who needs it! And if you must sew then by all means do it as quick as possible and be done with it so you can move on to something that is actually enjoyable and much more worthy of your valuable time. It made me think of when I had just moved to Madison, WI (where I now live) from Los Angeles. I had spent the last nine years building a career on making clothes for people that were one of a kind, often time consuming artifacts. 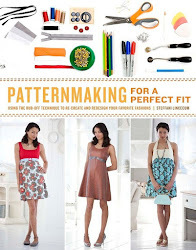 I relished that job because I really, really enjoy the process of sewing. I mined the tailors and seamstresses that I worked with for all the old-world sewing techniques I could get out of them. So when I moved to Madison, I had gotten a job designing costumes for a play at Madison Repertory Theatre. I walked into the costume shop one day and one of the young women who was working there as a stitcher was sitting at the cutting table knitting. She was taking a break from sewing and had pulled out a personal project. I looked more closely at what she was doing. She was working several little wooden knitting needles on this very fine yarn. I loved her immediately. I had found my tribe. Now I had made gloves before and knew how meticulous the process was. There was something about finding someone else who would take a break from sewing 1940’s costumes to knit GLOVES. That said this person loved what she was doing as much as I did. I had found a kindred spirit. I really liked sewing all those clothes. I’m told I was known for taking extra effort to make things look great. Some jobs I didn’t get because of it. But a lot of jobs I got or kept because of it. My friend who said I’d get over it is still my friend. She went back to school a couple of years after we worked together and has become a very successful writer and editor. She found her tribe. It’s funny, I write a little now, but mostly I sew, and from what I hear she sews a little but mostly has written, and we are both raising daughters who will one day write and sew as well. I’m not sure where we got this idea that sewing was dowdy or dorky, but it made me not too interested in sewing around that time. I had learned to sew at an early age and had made a blouse in the 5th grade at the McAlester Girls Club, and had made an A+ on the required pillow in 6th grade Home-Ec, but I shunned Home-Ec for Shop class and Art in the 8th grade. There must have been something culturally that gave me the attitude that sewing wasn’t a valuable skill. Mary Tyler Moore was a single girl in the big city and she didn’t waste her fabulous time sewing or doing crafts. Somehow when I was growing up, between Marlo Thomas and Bea Arthur and Christy McNichol, I got the idea that sewing was not cool. What is it about that word that makes so many of us bristle? I have seen so many derivations of the word seamstress lately. Seamster, Stitcher, Sewist, Tailor, Maker. When I saw the movie Titanic I remember the character that is Kate Winslett’s mother begs her to go through with marrying this guy because if she doesn’t then what would become of her? This is why I’m such a huge fan of the documentary filmmaker Faythe Levine and her film Handmade Nation. Her film shows a group of people who are embracing their love for making things and celebrating the act of careful craftsmanship. Fine Craft as anti-mass manufactured junk. Hallelujah! I saw the film with a friend who may have thought me a little wacko because I cheered audibly through many of the interviews. Again: my tribe. Now don’t get me wrong, I’ve basted many a zipper using glue stick or tape. I use press on interfacing in making beautiful tailored menswear jackets. But you know what? I love using thread and basting, or pad stitching hair canvas into a tailored jacket. There is something magical about knowing you’re doing something like it’s been done for hundreds of years, like you’re part of a thread running through some sort of garment making history. I enjoy that. It makes me happy. It’s about the difference between mass produced Go-Gurt and artisanal local yogurt. It’s why I’m writing this article in its original form by hand, in my friend Mary’s coffee shop, eating that yogurt with blackberries, drinking my locally roasted coffee out of a mug that somebody made who lives nearby too. It’s just better, more enjoyable, more sustainable. So I say a big heck yes to making things and to taking the time to do it. I think I’m going to get that Emmy certificate framed.